Milk chocolate… Fine milk chocolate. Now there is a new one on my blog. I must say I’ve been wondering for a long time if the amazing tastes one experiences when switching from bulk chocolate to fine chocolate, would be equally as overwhelming when it comes to milk chocolate. Naive provided me with a nice collection of samples. 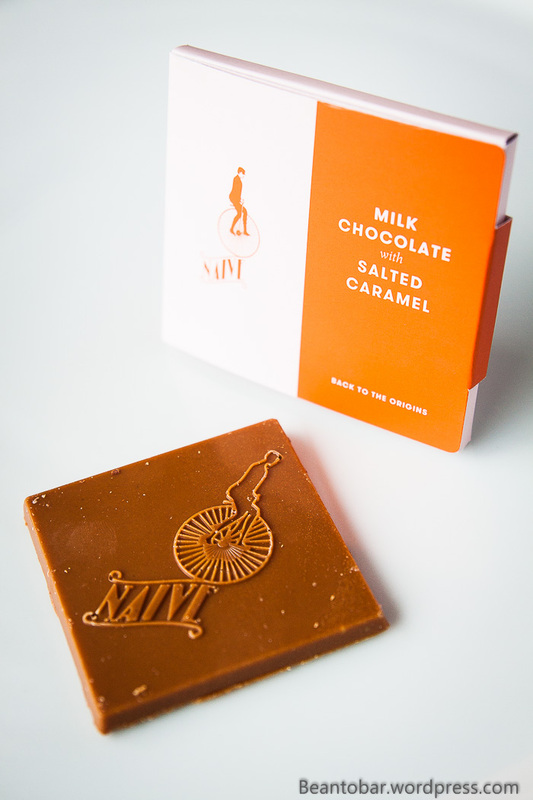 On of these is their 38% Milk chocolate with salted caramel. Oh my, have I confessed I love caramel? 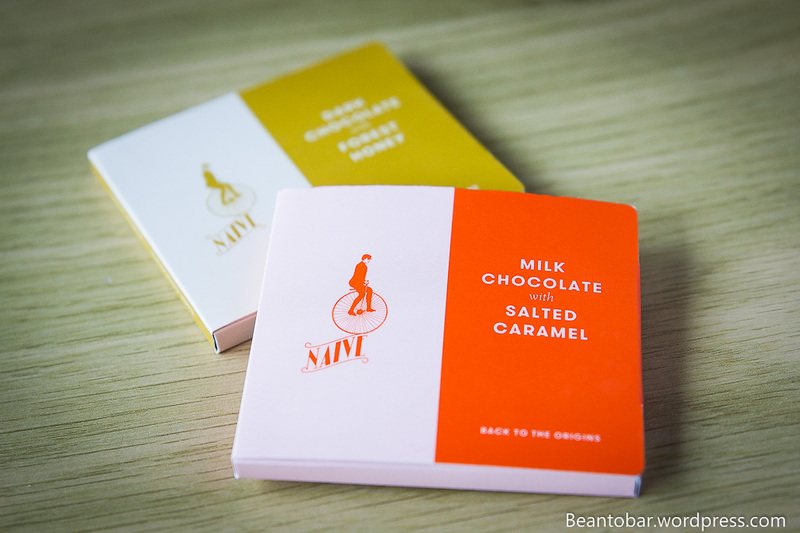 As with the samples I’ve reviewed before, the chocolate is wrapped in a colourful cardboard box. Flipping it, will reveal the cacao strength, roasting strength and conche time. 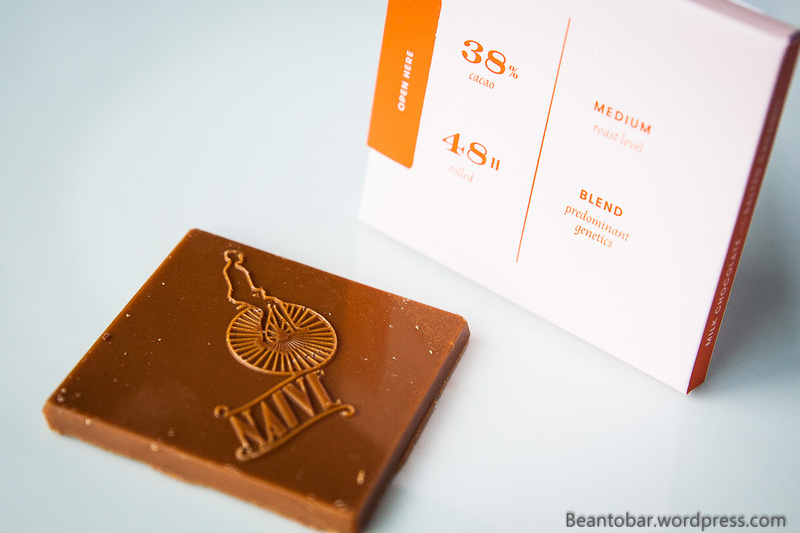 In this case, the bar is 38% cacao made out of a blend of cacao origins, roasted at a medium level and conched for a period of 48 hours. Added to the mix is salted caramel. First idea I had is that this bar would be pretty sweet in nature. Color: an amazing coffee and cream brown – caramel color. Taste: Toffee up front, but not nearly as sweet a I feared. Next comes a luscious cream before finally the cacao chocolate aromas come through. Once it starts melting, the chocolate is gone in a flash of wonderful taste which reveals a touch of salt and for a moment ,ever so delicate, some fruits in the back. The caramel taste leads the way for the chocolate aroma’s to overwhelm your senses. The texture is a bit coarser than I expected. 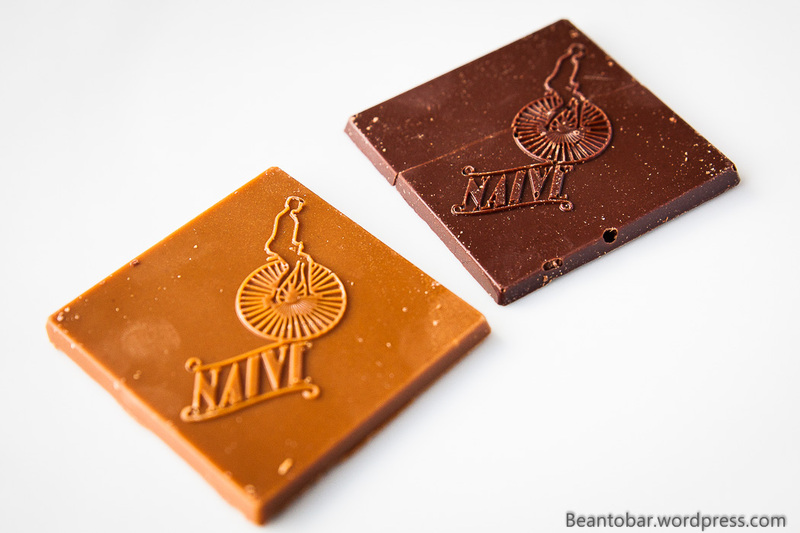 Once gone, the chocolate leaves you with a slightly smoked, gentle chocolate aroma as aftertaste. An absolute different experience than I expected. Obvious this taste profile is a bit different from dark chocolate, but it is luscious and never too sweet. And not clingy as bulk milk chocolates tend to be! As interesting and tasteful an experience this is, it don’t seem as satisfying as dark chocolate to me. I can’t quiet put my finger on it, but it is once more a matter of personal taste.